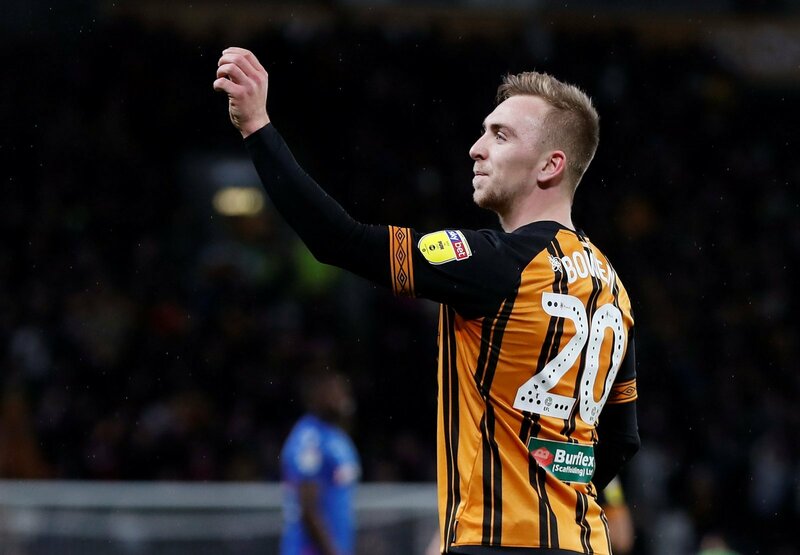 Hull City just keep on marching on in the Sky Bet Championship, after an impressive 2-0 victory over Stoke City at the weekend. It’s now seven wins in nine league games for Nigel Adkins’ men, who have endured an extremely mixed season thus far. The Tigers have been transformed from relegation candidates into serious play-off contenders. Adkins’ men are now up to 10th spot in the league table, four points off the top six after goals from Kamil Grosicki and Jarrod Bowen secured yet another three points at the KCOM Stadium. 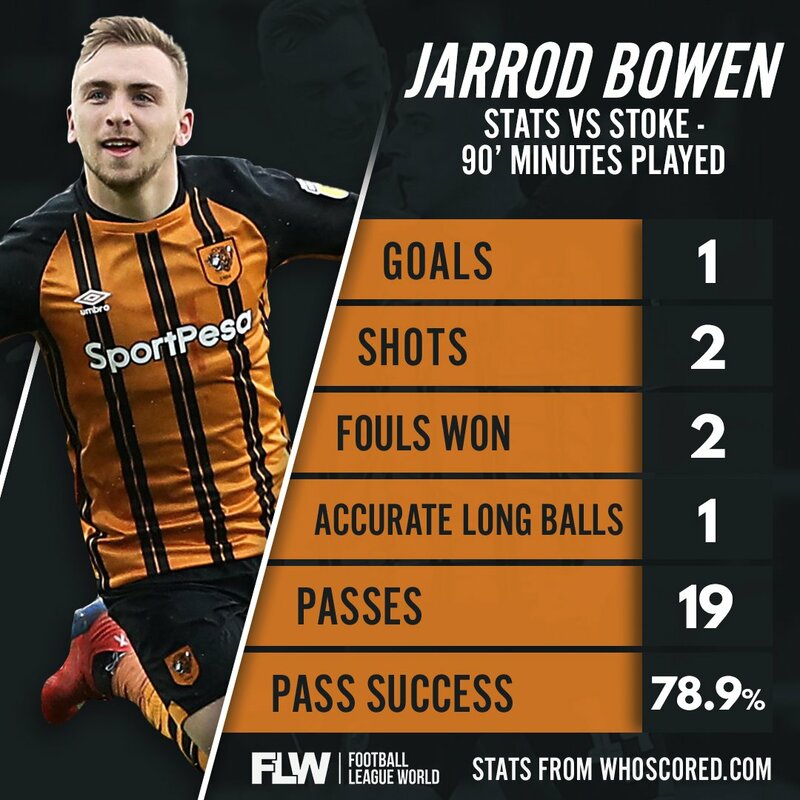 Nigel Adkins will feel massively relieved that the phone has stopped ringing for Bowen now the transfer window is over – the exciting wide-man took his tally up to 15 goals for the season, after netting a sublime free-kick on the stroke of half-time. The winger was a constant threat throughout the 90 minutes – drawing two fouls and hitting two shots on goal, one of which obviously beating Jack Butland in the Potters’ net. Not only can Bowen score goals, he can contribute to goals in other ways too. He failed to add to his tally of three assists for the campaign, but one of his 19 passes came when playing in Fraizer Campbell, who teed up Grosicki to seal all three points for Hull.